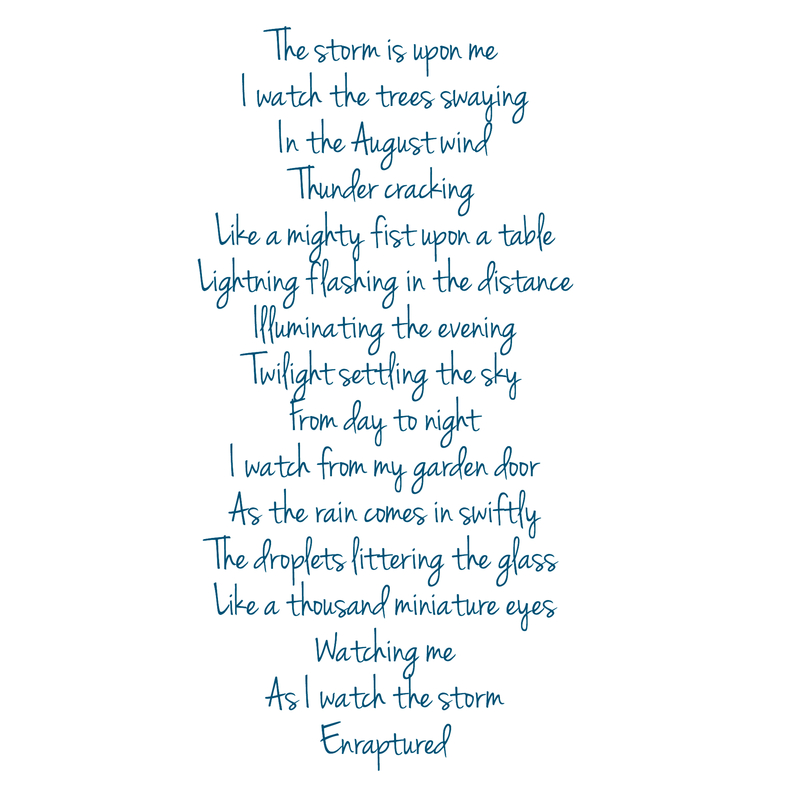 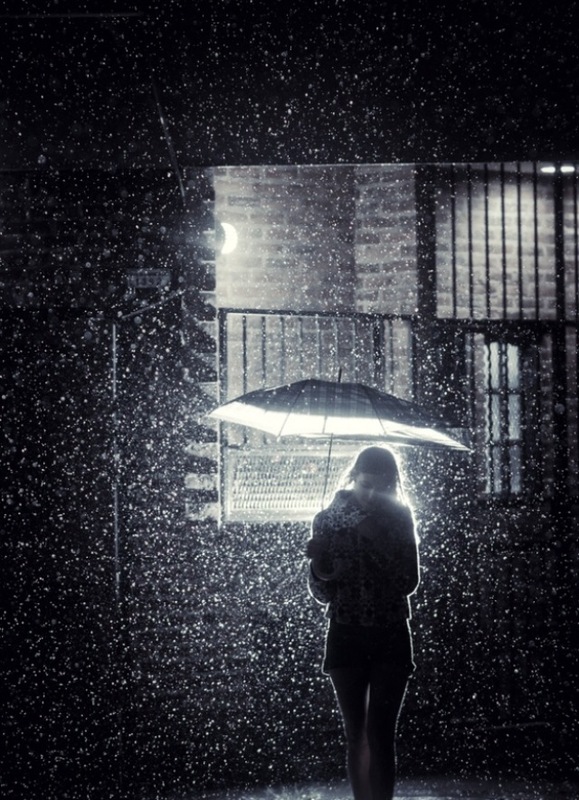 Categories: Musings, My Writing, Poetry/Prose, Rain | Tags: droplets littering the glass, enraptured, I watch the trees swaying, rain, the storm, twilight settling the sky | Permalink. 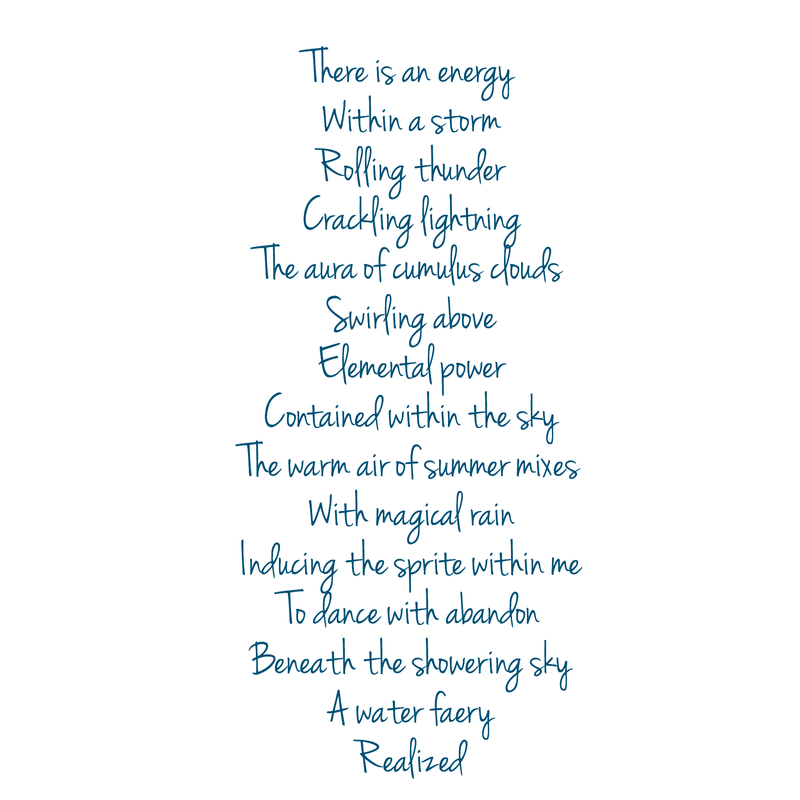 Categories: Musings, My Writing, Poetry/Prose | Tags: crackling lightning, cumulus clouds, dance with abandon, elemental power, Enchanted_Bard, energy, rain, rolling thunder, sprite within me, storm, water faery | Permalink. 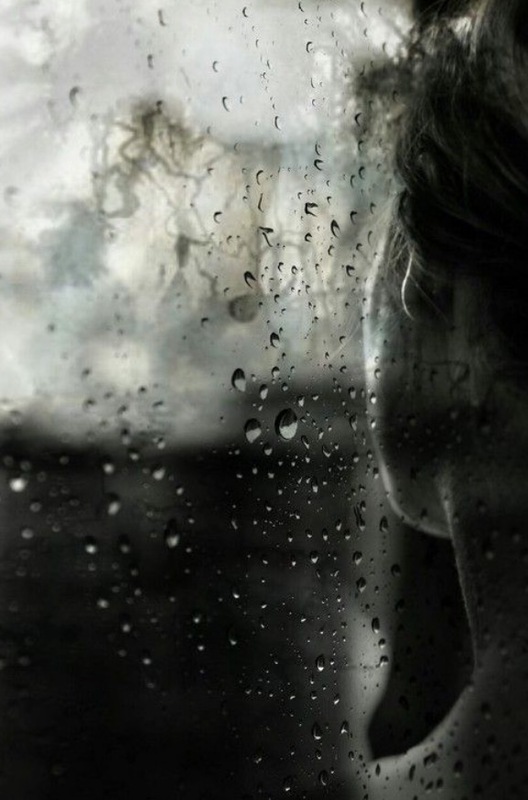 Categories: Love and Desire, Musings, My Writing | Tags: distance, her call, poetry, rain, some hint of him | Permalink.